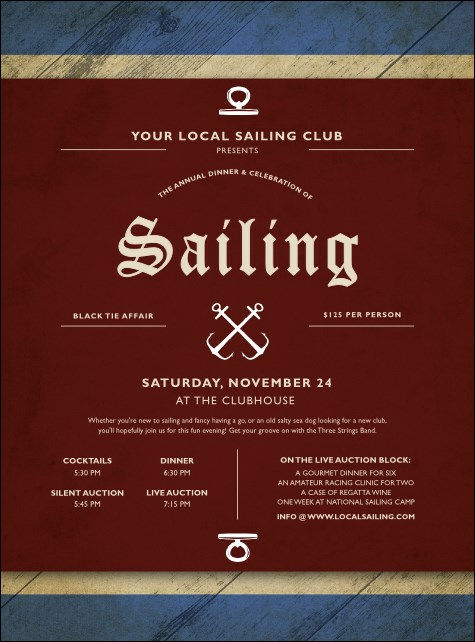 Promote your next maritime event with the classic design of the Sailing Flyer. With a deep sea blue border on the top and bottom, this flyer commands attention with its bold red tones, classic font, and trusting anchors. Create seamless event planning with a Matching Event Kit. Set sail for a nautical event adventure with the help of TicketRiver.com.au!